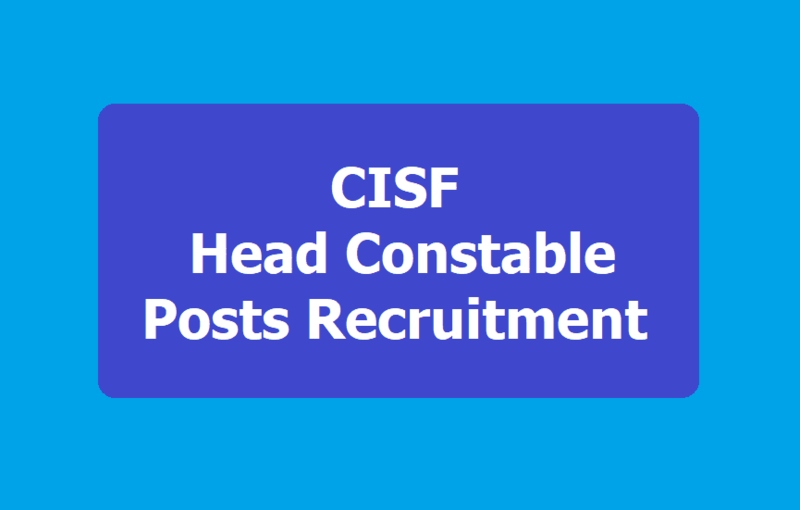 CISF Head Constable Posts Recruitment 2019, Apply Online till February 20: CISF Recruitment 2019: Apply online for 429 Head Constable posts at cisf.gov.in. The Central Industrial Security Force has released recruitment notification for Indian citizens for filling up temporary posts of Head Constable (Ministerial) in CISF. Candidates, on appointment, will be entitled for the pension benefits as per the "New Restructured Defined the Contributory Pension Scheme" applicable for the new entrants to the Central Government services with effect from January 1, 2004. Interested and eligible candidates can apply online from January 21, 2019 to February 20, 2019 till 05:00 pm. Level-4 in Pay Matrix (Rs. 25500 - Rs 81100) pre revised pay Rs. 5200-20200 with grade pay of Rs 2400/- plus usual and admissible allowances to the Central Government employees from time to time. There will be three stage recruitment before medical examination. Note: The application fees can be paid through SBI Challan, Debit Card, Credit Card, Net Banking or Pay Offline Through E Challan. Note: The sequence of the above three stages may be interchange at the discretion of CISF due to administrative reasons/prevailing circumstances. If written examination is conducted in the second stage, the number of candidates to be called for the third stage would purely depend on merit in the written examination for which qualifying marks would be 35% for General and Ex-Servicemen and 33% for SC/ST/OBC.